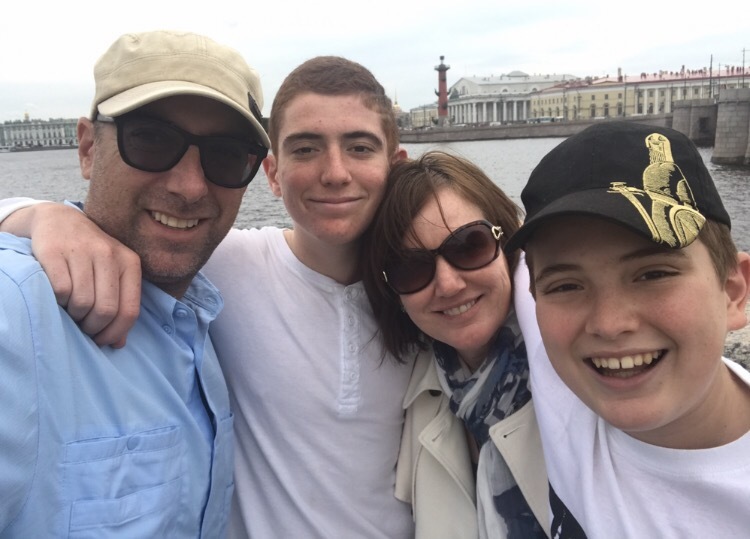 For years, Karen has talked about her experience visiting the Scandinavian Capitals and Russia. She took that trip in her twenties, and it made a huge impression on her. It was one of the trips she hoped we could embark upon with our own kids one day. 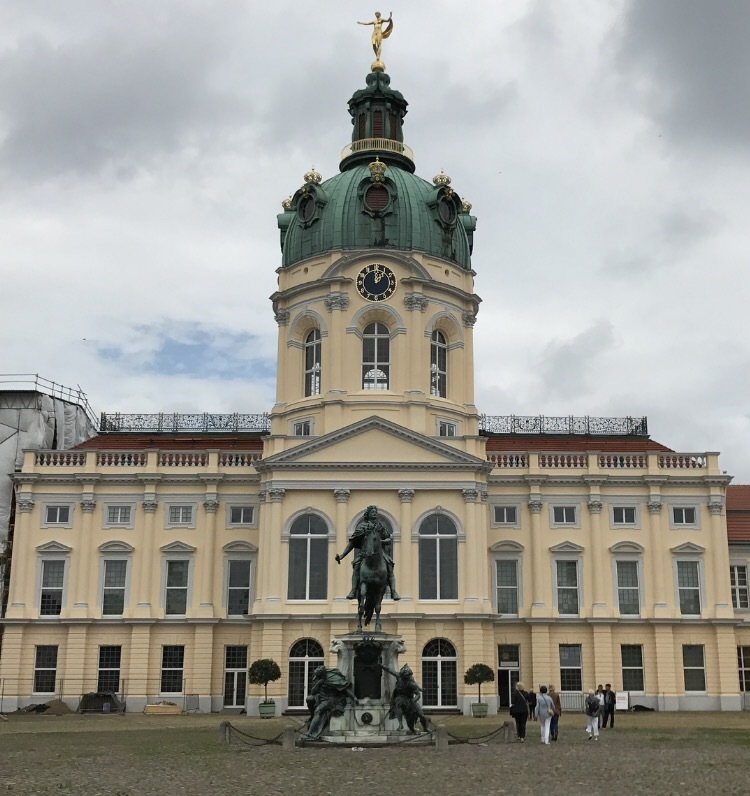 Last fall, she stumbled upon an incredible deal on Princess Cruise Lines, and so we booked her dream trip–with this cruise also including Tallin, Estonia and a day trip to Berlin (from the port in Warnamunde, Germany). This would be our first cruise as a family, and we were really excited about it. Just as this was to be our first cruise, it was also to be our final journey of our year abroad, which was a journey all in itself. Since we hadn’t originally planned to stay abroad beyond 1 year, we really tried to cover as much ground as we could on the European continent. We felt like we did pretty well, and this trip was to be the final chapter before we headed back stateside for the summer. Let me say first that I have mixed feelings about cruising. I like to figure out travel plans, find apartment rentals and deals, wander through cities and towns, and essentially become our own tour guide. I consider myself pretty adventurous on the road, and that is part of the fun for me. That being said, a cruise has its merits to be sure. We could never visit 7 countries in 11 days affordably or comfortably. In addition, our kids, who, remarkably, still enjoy spending time with us, did have a built in network of kids from all over the world on the ship. They made new friends pretty easily and Cassius, in particular, never missed a session in the kids center. He would inform us that we needed to go eat early in order for him to be there when the doors opened for their evening activities at 7 PM! The boys did have a lot of fun and their independence on the ship offered Karen and I some time together. Jackson really enjoyed the gym, and cruising seemed to agree with our family more than I might have imagined. What follows below is a review of the countries we visited over the 11 day trip. On shore, this trip, for me, was like being dropped onto another planet. 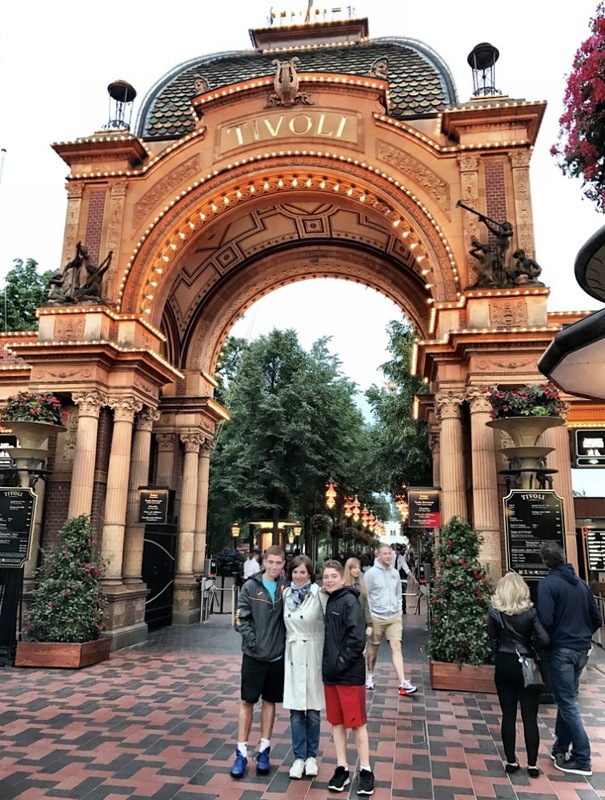 We flew to Copenhagen from Switzerland and spent 4 days there including the 4th of July–where we paid tribute to Karen’s late mom by eating ice cream at Tívoli Gardens. Nobody loved ice cream more than Grandma Pat, and eating it at Tívoli is pretty special. 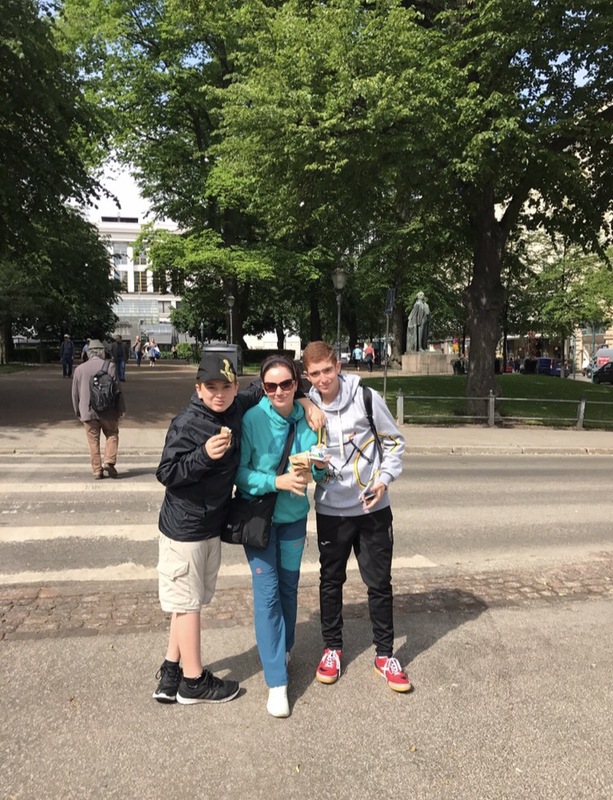 Ahh Copenhagen! What a grand city–where more than 50% of its residents commute to work by bicycle and thousands of bikes line the streets unlocked, where Castles and Gardens pop up in the center of town, and the Little Mermaid statue draws crowds to see her magnificent presence shimmering on the shoreline, where bakeries accommodate the dietary restrictions of their Muslim customers, and a young, hip, friendly, educated, progressive vibe pervades through the streets. What an incredible place–although it should be noted for perspective travelers that it is expensive! 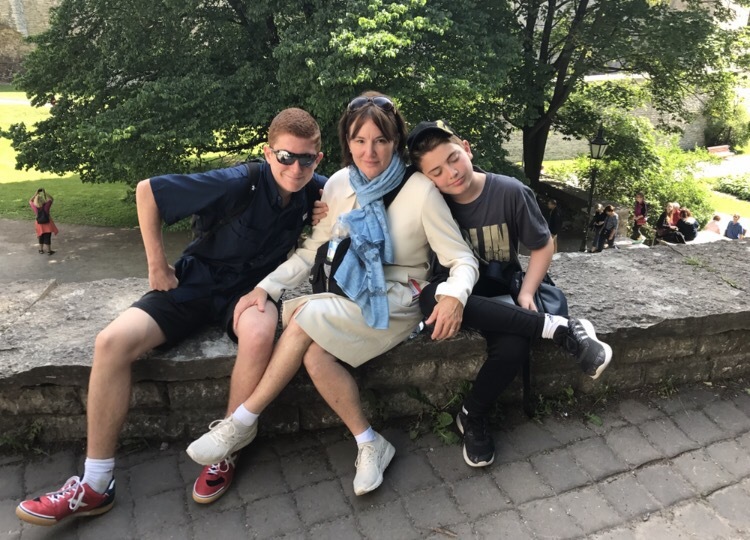 For those looking for a less urban experience, there are great stretches of green space in the center–where the boys played futbol and we all hung out. Quite a place. 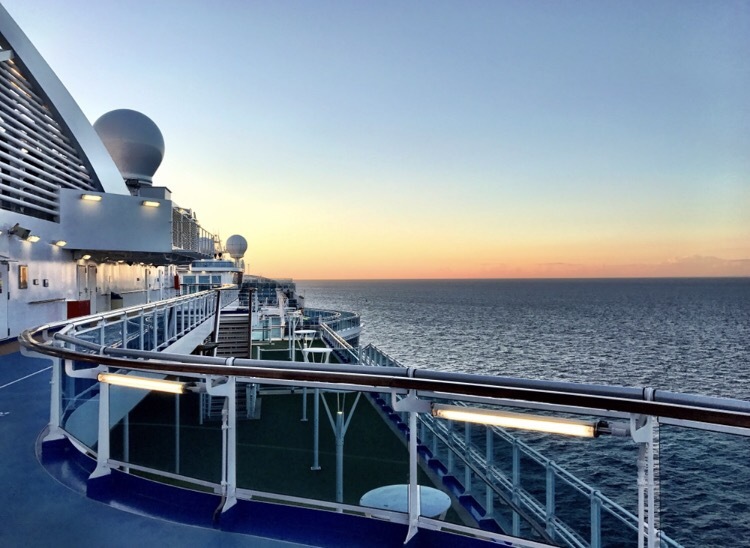 The cruise embarked from Copenhagen and headed for Oslo. 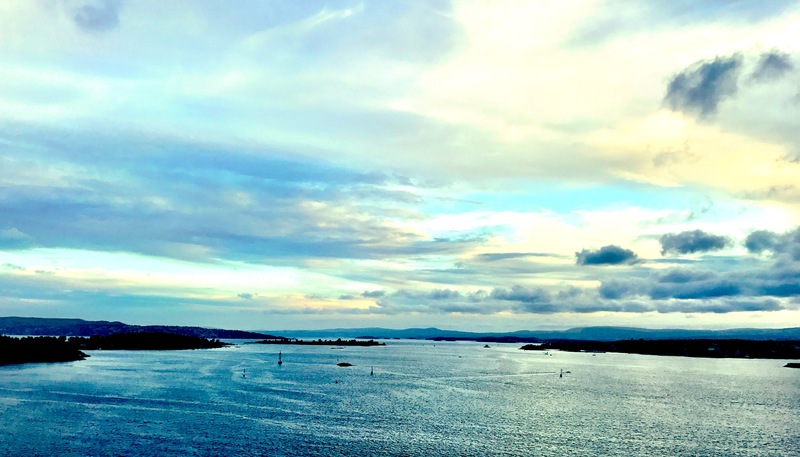 When I think of Oslo and Norway, I think speed skating, but the summer in Oslo is wonderful and a dramatic departure from its wintry roots. The port is glorious and the city is surrounded by islands. 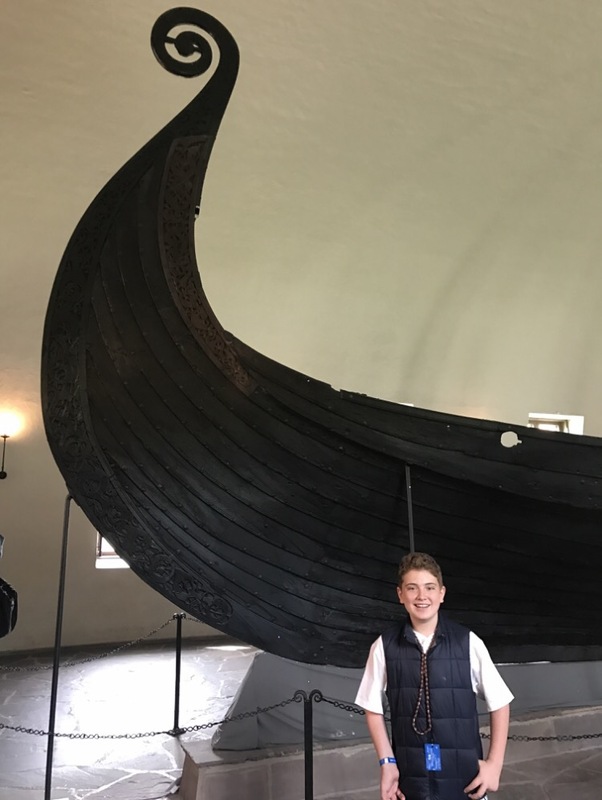 We took a boat trip to a nearby island to see the Viking Museum at Cassius’ request. It was a great choice, set in a beautiful community, and those ships are incredible. 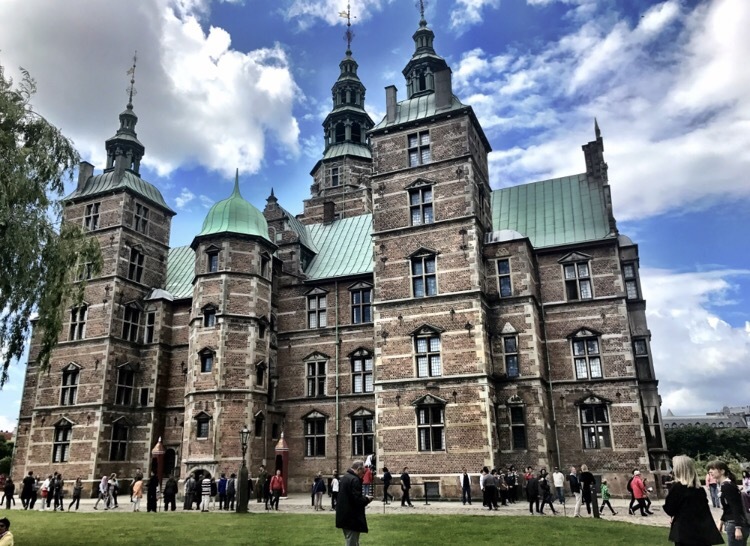 From there, we returned to the main port and visited the Nobel Peace Museum. Jackson said it was the best museum he had ever been to. It is really inspiring, features the laureates, but also focuses on the issues of our times in gripping exhibits. There is a wall where people leave post-its with their own inspiring hopes, a place where support can send texted in regards to the refugee crisis, and so much to be learned. 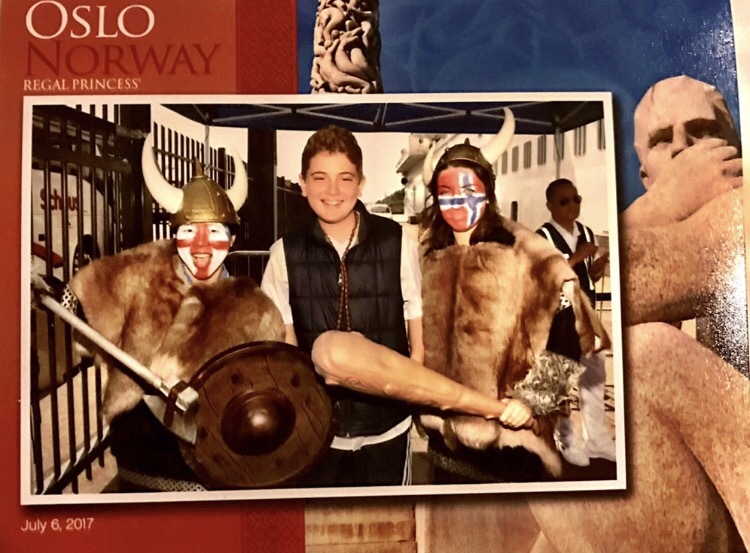 We all loved it, and I would encourage anyone who goes to Oslo to visit this museum as a reminder of how just human we all are. From there, we walked to the National Gallery to see Munch’s “The Scream”. As for the cityscape itself, we really enjoyed the downtown, laden with sculptures, unique public spaces, and walkable streets. The port had great food trucks where we ate lunch, and it was a really worthy stop. On to Warnamunde, Germany (which is lovely in and of itself) and what would be our most daunting day of the cruise. For those willing to brave it, Princess (like many other Baltic cruise ships) now offers a tour to Berlin. The tour leaves early, is a little less than 3 hours each way on a train with no AC, and is not for those simply looking to kick back and relax. But, alas, this was Berlin! 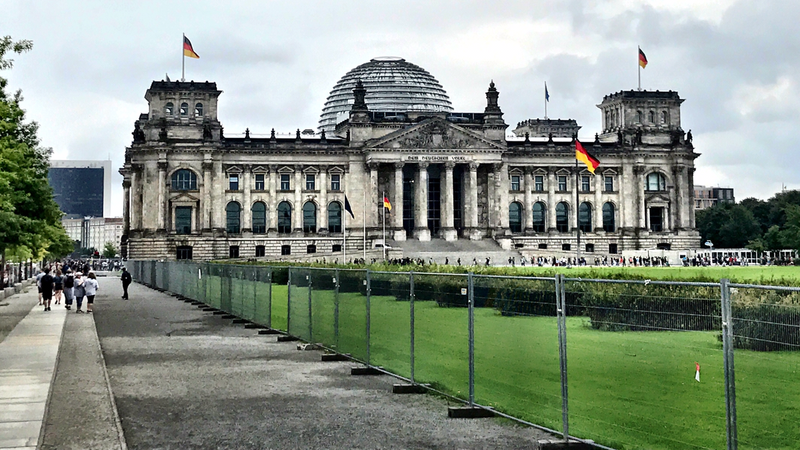 Berlin–the place of Nazi occupation, Jesse Owens famed Olympics, the divide of the east and the west, home to Checkpoint Charlie, the Brandenburg Gate, and the Berlin Wall. We had heard of Berlin’s incredible transformation in recent years, and Karen and I really wanted to see this for ourselves. The boys knew less about Berlin but were intrigued based upon their idolization of the World Cup winning German Football Team. We used this as motivation for this very long day. I can only say that Berlin did not disappoint. If you have the opportunity to visit, you really should try to do so. 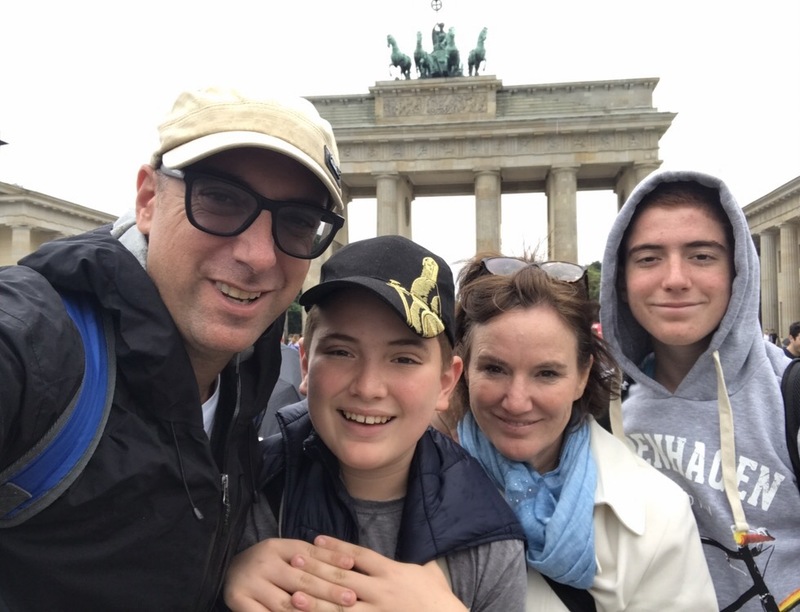 For Karen and I personally, Berlin meant something different because it was one of the few places we have visited where we felt like we had really lived through some of their monumental history. 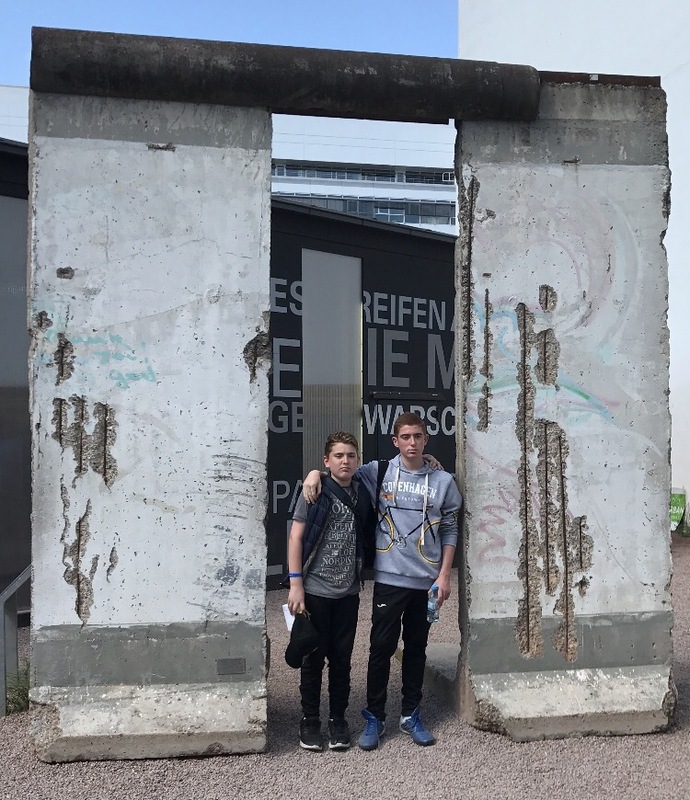 We watched the Berlin Wall come down. We remember the Cold War. And we moved through this incredible, evolving, modern city with mixed feelings of sadness, loss, respect, beauty, admiration, inspiration, and, ultimately…hope. Germany really does evoke so many different feelings. 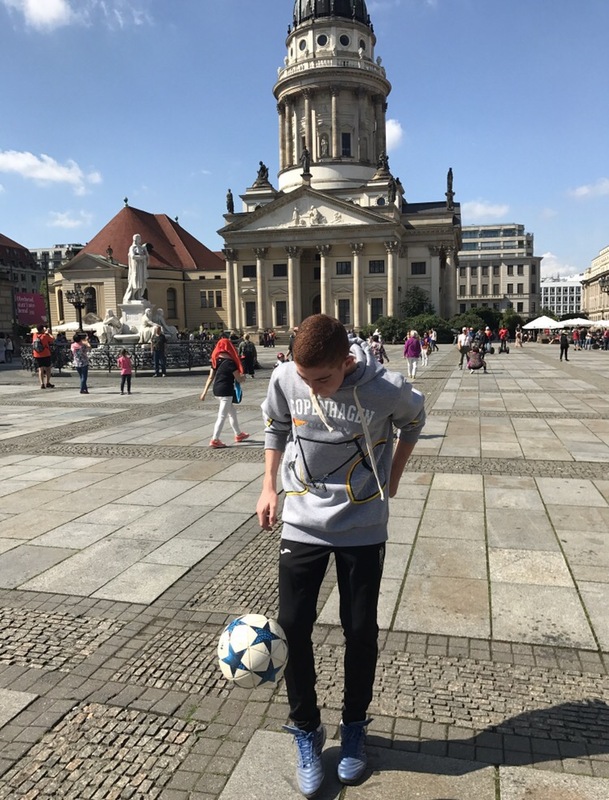 In front of the Reichsteig Building, one can only feel awed by its size and power. 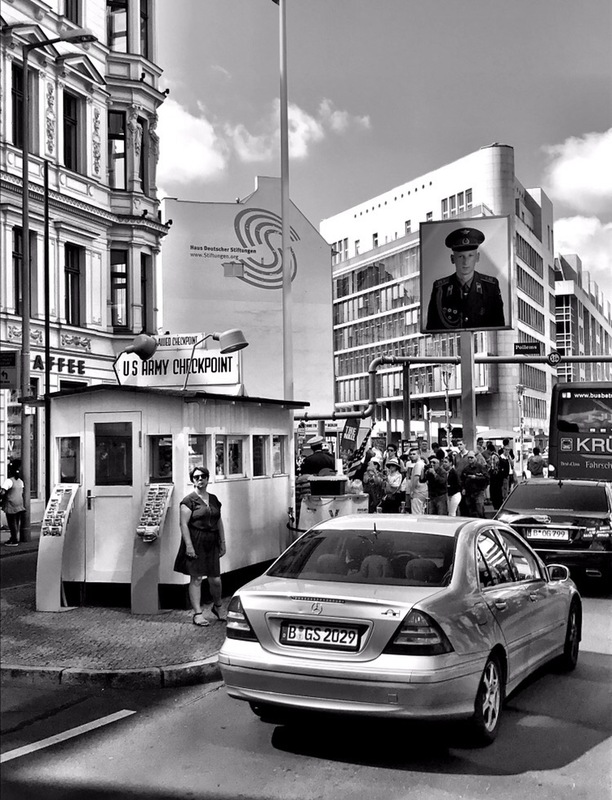 And there is still a real apprehension standing at Checkpoint Charlie, thinking of all who tried to pass through both successfully and unsuccessfully. 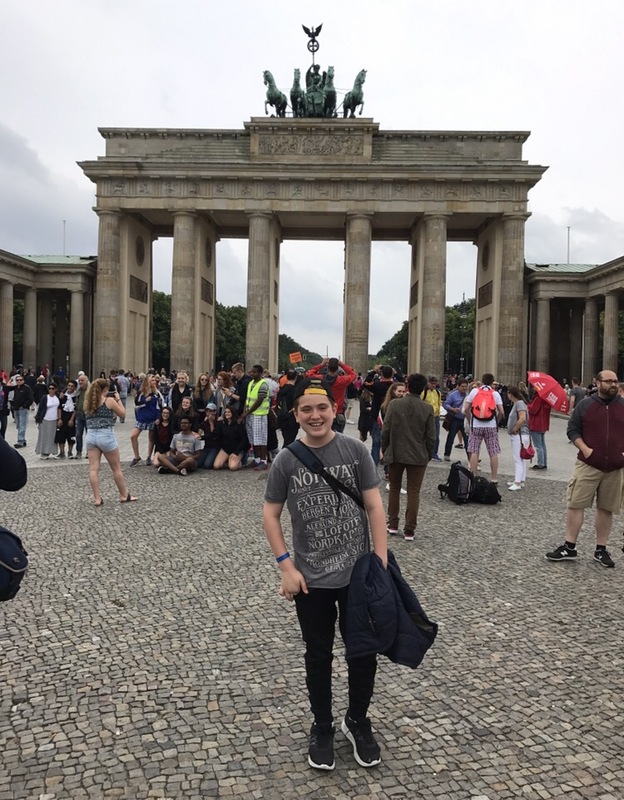 The Brandberg Gate is impressive and looms as a beautiful reminder of where we have been, where we can go, and why freedom is worth fighting for. And the wall, its remnants, and the pockets of no man’s land now turned to green space where young people sit on blankets in the afternoon sun is simply….astonishing. 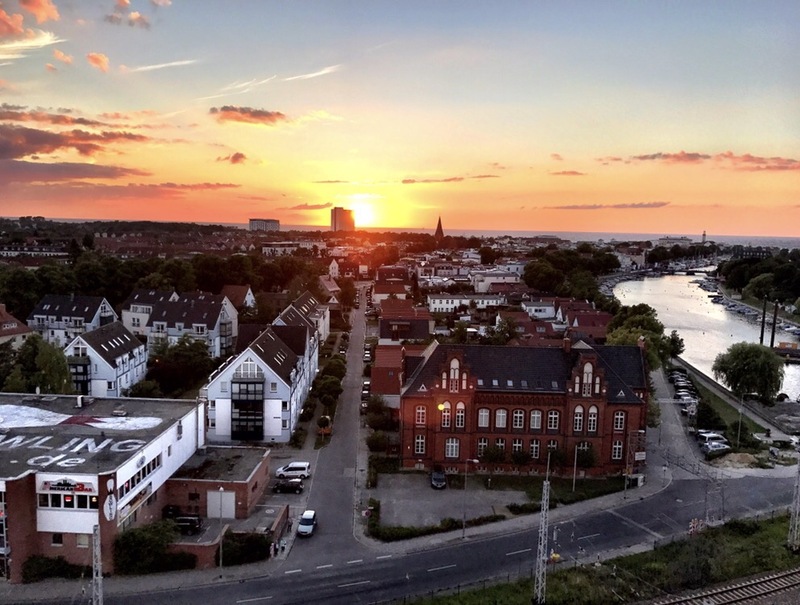 Mix in the uber- modern parts of the city, soaring Glass edifices, and chic 20 year-olds alongside incredible monuments to the Holocaust and you have a city like few others. As much as we were looking forward to the visit, I think Berlin’s sheer collision of so much significance caught us off guard. At a time when the world feels so fragile and fractured, Berlin served as a reminder that history is still being written, that the winds of change can turn, and that the power to unite can stand its ground against the forces that divide. Very meaningful, and Jackson actually said it was his favorite city we visited all year long. Lastly, I must add as a sidenote that I promised my mother that I would take one Art History course in college, since it was the class she said impacted her most beyond her college years. I was lucky enough to take that course from a remarkable woman named Elena Ciletti. I took a class on Italian Renaissance painting that turned into 6 Art History courses with Elena and a minor in Art History. She unlocked an entire world for me, and her class transported me on a remarkable journey to a place where art collided with history, literature, religion, music, architecture, war, beauty, dreams, and politics on the wings of courage and inspiration. I owe her more than I can ever repay and this journey through Europe has set me on a sort of quest to see all the great works I was lucky enough to have experienced through slides and lectures in her classroom. In Berlin, that work was Gersaint’s Shopsign by Antoine Watteau, an incredible painting I wrote a paper on more than 20 years ago. To stand in front of that canvas at Charlotsburg Palace was a lifelong dream for me, and I can only say thank you Elena for your inspiration, guidance, and mentorship that continues to this day. Next up on the docket was Tallin, Estonia. 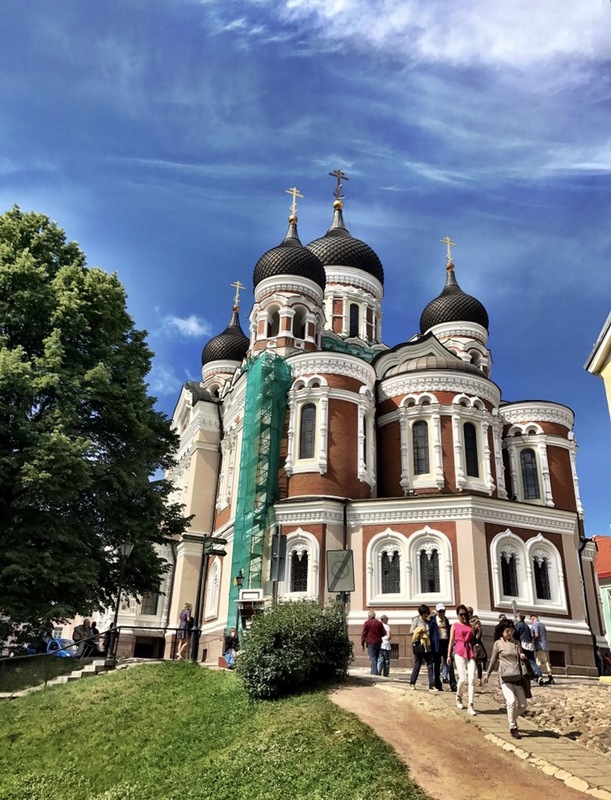 For those of you who see Tallin on a prospective itinerary and wonder why, have no fear. It is a magical city, a perfect one day cruise stop, and home to the best cookies we have had in Europe. 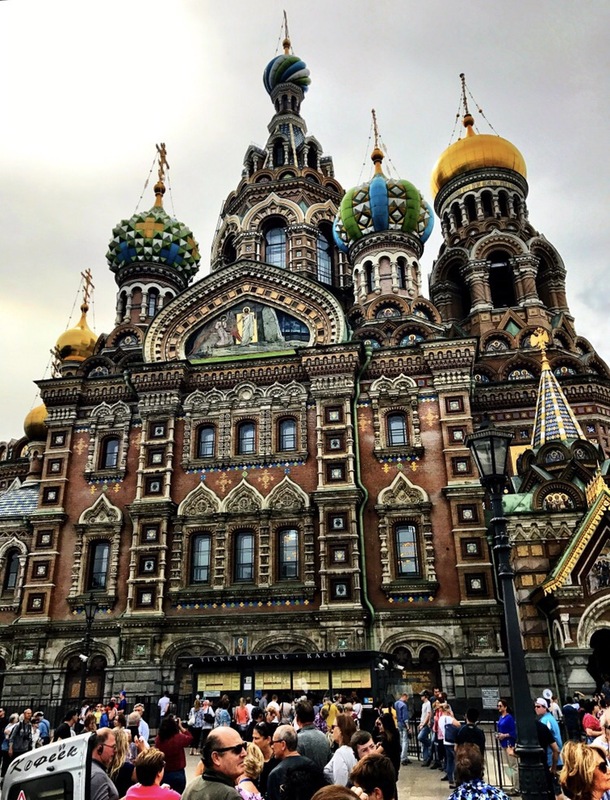 The Orthodox Church is mind blowing with its glorious spires, the gardens lush, and the streets charming. 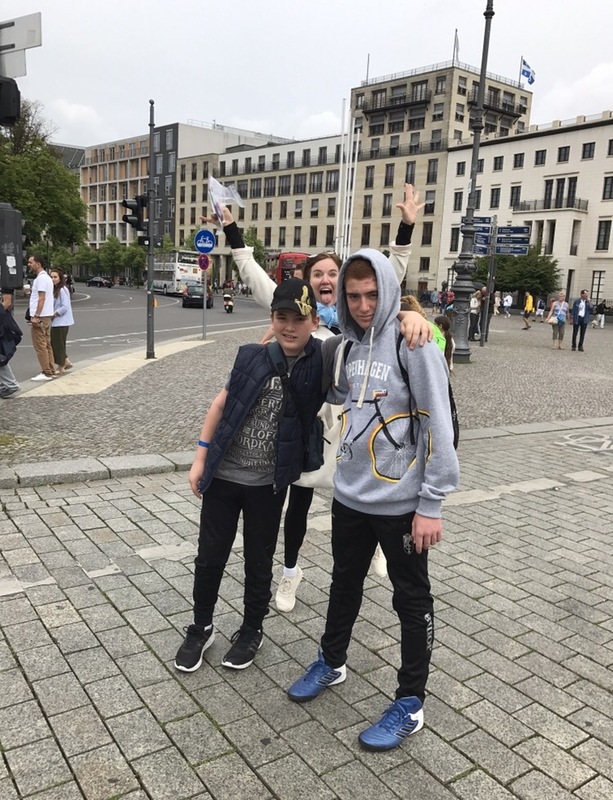 We all loved it, and it offered a great day of wandering magically through this picturesque capital following the emotional intensity of Berlin. It was a good breather before our trip reached maximum intensity in Russia. After two days in Saint Petersburg and months to digest them, I still don’t know how to feel. You can’t visit Russia without a Russian visa unless you are on a tour stemming from a cruise ship. This makes the port in summer a madhouse. On day 1, we stood in line for 3 hours with thousands of others traveling the Baltic in order to get through customs and safely onto buses. 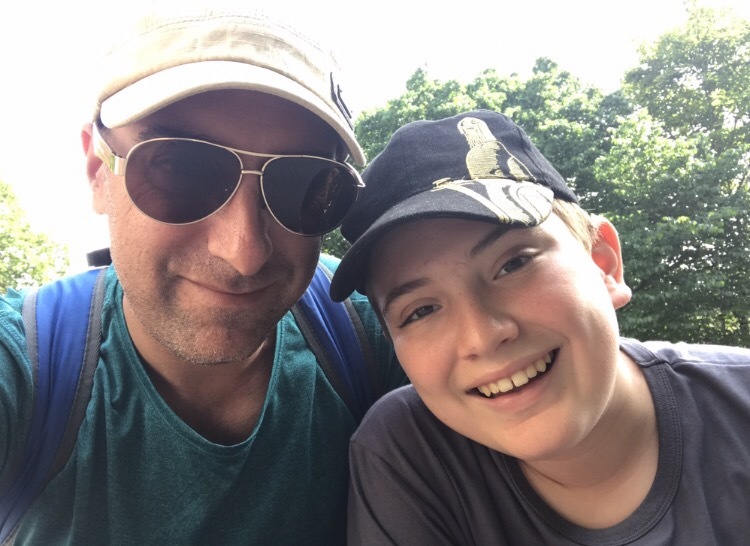 It was no joke, and the customs agents took the process very seriously–a clear signal that we were on foreign turf in a manner we had not felt before. 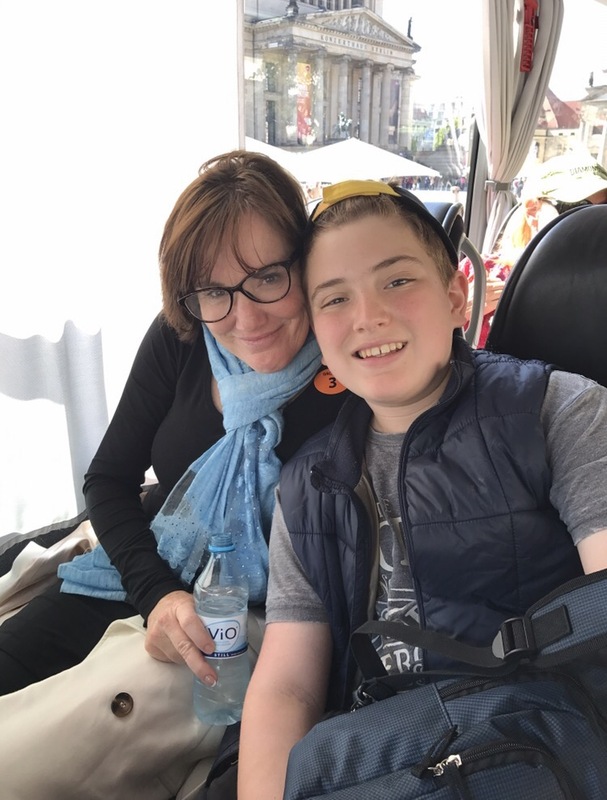 Once through customs, we immediately boarded a bus and toured the center of the city. 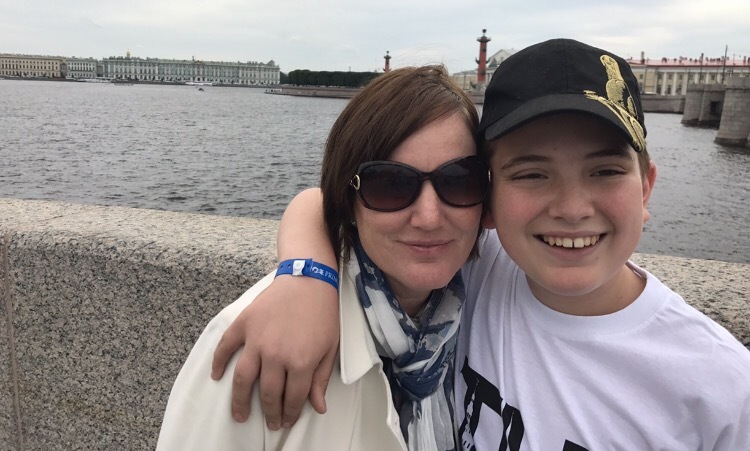 It was a main sights tour that included The Church of the Savior on Blood, the Cathedral, Rostov Columns, Hermitage, and other central locations. At each highlight, we had the opportunity to hop out and take a few pictures. It was easy to see the stark contrast between the dreary Soviet architecture and previous glory and riches of Russia. But both carried a weight that was palpable. You felt it in the faces of people, and there is nothing about Russia that feels easy. At the same time, the beauty of Saint Petersburg is also just so extraordinary and opulent. 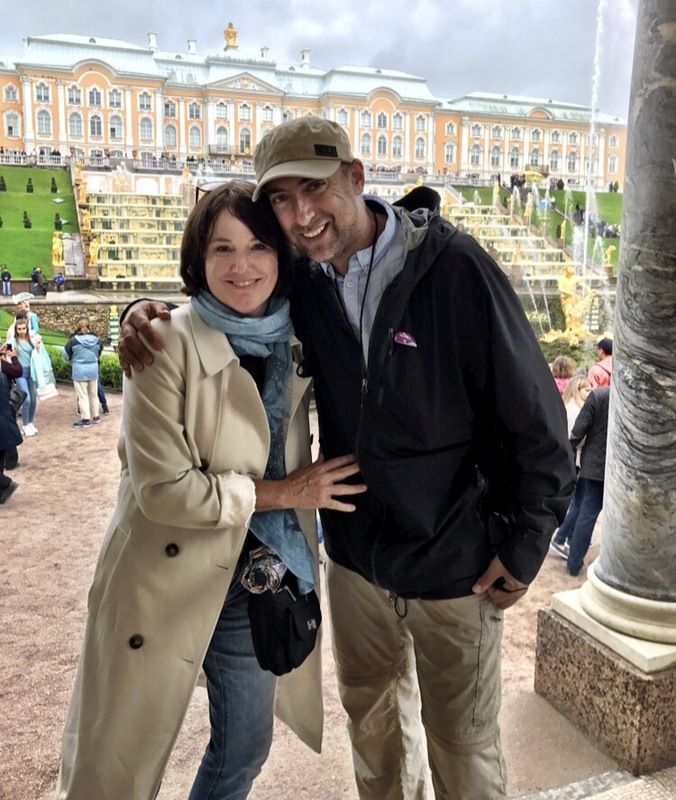 On day 2, Karen and I left the boys behind with their friends on the ship and toured Catherine’s Palace and the Peterhoff Palace. After a bus ride that felt like it was on rollerblade wheels with a roof that leaked, we were treated to the unfathomable, ornate beauty of Russia’s royal glory. 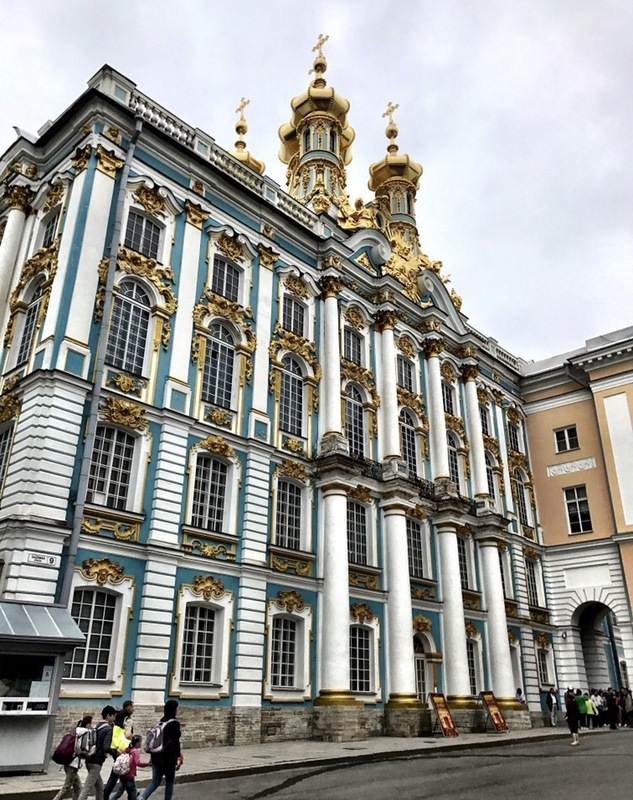 From the gardens to the fountains to the gilded walls, these palaces were equally extraordinary in their own way–as are the stories of Catherine and Peter. It was a long day in some challenging weather, but we were so glad to have experienced a level of decadence we had only seen at Versailles. Pretty astounding to realize what they achieved. At the same time, the need to remain with the tour at all times was confining (if necessary) and provided us with little sense and understanding of the people, modern society, and life today in Russia. Even so, Russia left an imprint that is nothing if not imposing. The next day we arrived at Russia’s neighbor Finland. Helsinki is just around the corner, but it couldn’t be more different. We all loved it from the minute we were dropped in the center of town. 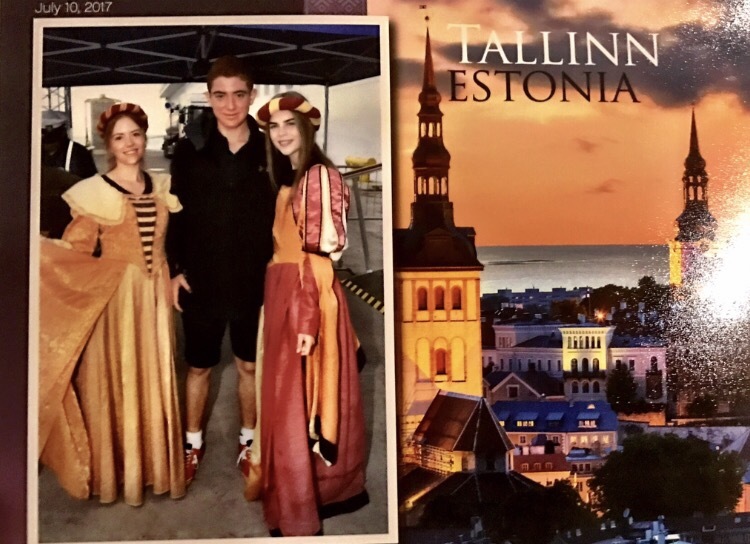 We had heard about Helsinki’s educational prowess at young ages, their free universities, and their bourgeoning economy, but we hadn’t “felt” it until we were there. Despite the brutally cold winter weather, people in Helsinki are very nice (if a bit shy according to our taxi driver) and the city is lovely. 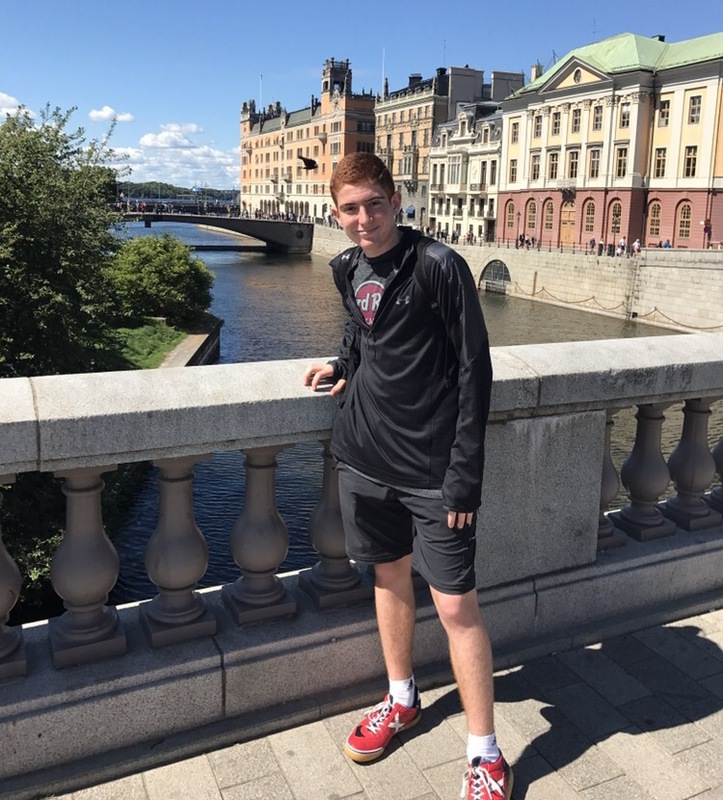 They combine a modern, progressive town center with monuments, beautiful churches, open markets, nice restaurants, and some pretty nice cars that caught the eyes of the boys. We met people who had moved their from London, Krakow, and Auckland to find themselves very happy in this Nordic paradise. Just a quietly impressive city. Before heading back to the ship, we hailed a taxi with a driver ( who spoke 8 languages – yes 8!) and asked if he could take us to the offices of SuperCell, a 10 billion dollar mobile gaming company. For those of you who may not know, SuperCell is the company that created Clash of Clans and Clash Royale. The boys love Clash Royale, and they wanted to see the headquarters. Cassius got cold feet at the last minute, but Karen locked him out of the taxi and forced him to join Jackson and I inside the office Tower. I told Jackson he should go up to the receptionist and tell her why he was there. He said, “I am here because I wanted to see SuperCell since we love the game Clash Royale”. The woman behind the desk said that she would call upstairs to their headquarters and that we should wait in the lobby. Within 10 minutes, a woman from Supercell came down with gift bags for the boys and talked with them and answered questions about their company and business for 20 minutes. It was so impressive, and all of us learned a lot about their philosophy and culture. Such a great experience and a reminder that you have to put yourself out there in life. Cassius, for what it is worth, was grateful that Karen forced him to go inside–particularly with his bag of loot that included everything from posters to gloves. Our cruise finished up in Stockholm. If there is a more beautiful capital city to arrive or depart by boat, I am not sure where it is. Absolutely picturesque with the surrounding islands lined for what seemed like eternity. 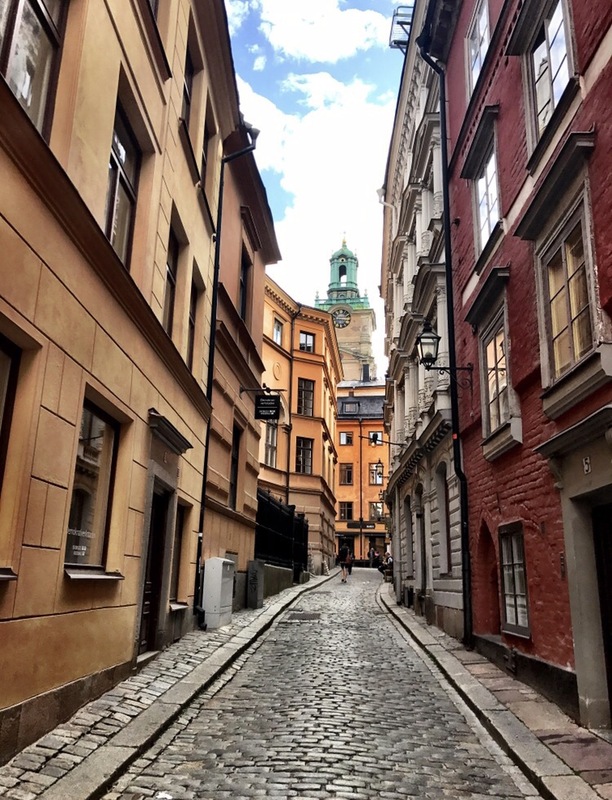 Stockholm is also impressive with the Gamla Stan area the perfect example of quintessential, storybook Europe when you think about charm, impeccable storefront displays, crooked streets, and a kaleidoscope of colors. More than the other Scandinavian countries, Sweden also emanates a truly regal quality and the Parliament Building and Palace are dramatic, pristine examples of Sweden’s power looking over the river with the Opera House nearby. 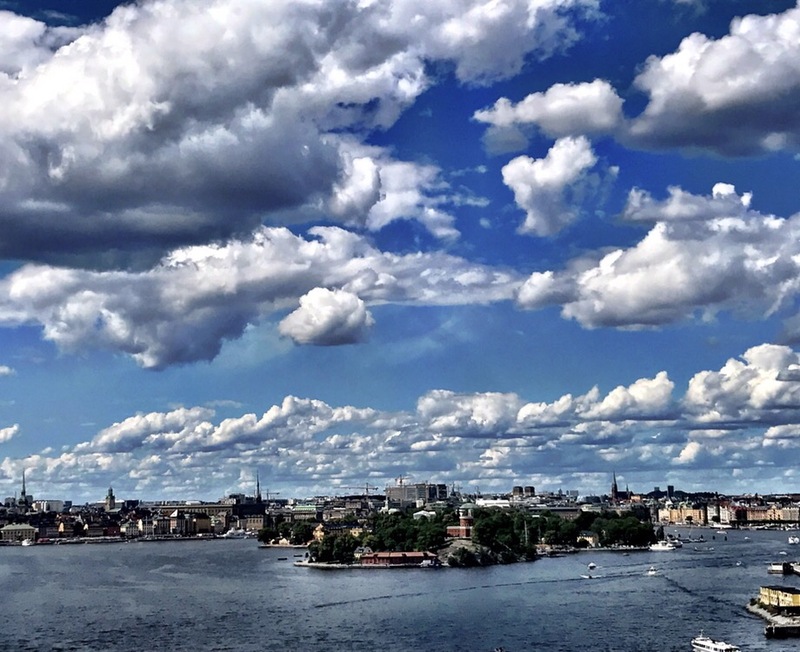 Culture just oozes from Stockholm and it was almost like being dropped into a fairy tale. Unfortunately, it was our very shortest day on land, which was the only disappointment of our cruise. 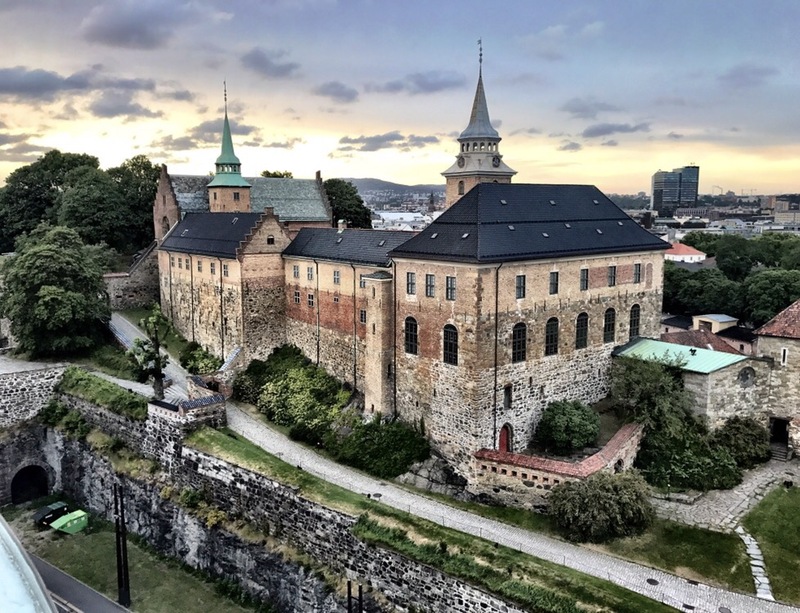 We knew we had just scratched the surface and caught a glimpse, but the largest capital in Scandinavia has more than enough to leave an impression in only a few hours. At the end of the cruise, we tried to reflect on what we had seen. The 11 days lived up to its billing and then some, and it was almost hard to comprehend how much we had witnessed, how different the world can look, and try and determine just what we had absorbed and what it all meant. Of course, we had only been given the smallest window into these great cities, but each was inspiring in its own way, and it only made us want to return to many of the locations for greater lengths of time. Everyone likes to say that it’s a small world, and of course that’s true in many ways. But seeing so many different cultures in such a short span of time (and relatively small geographic distance) also reminded us of just how big the world is, just how much life is occurring beyond the United States, and that there are so many ways to be and think and live. As Americans, I think it’s so easy to forget that, but all around the globe people are making different choices and setting out on different journeys with different goals day after day after day. In the US, with the 24 hours news media blaring about everything that is wrong with the US, it is easy to forget that are millions of people out there living, in their own way, in their own countries, with their own lives, with their own challenges and joys, fears and families and purpose—completely independent of all that consumes Americans and America on a daily basis. That is something we have really felt this year and will try to take with us on our homecoming, future travels, and into the years beyond.